One thing we talk to Crew about a lot is budgeting. Whether you are saving for something specific, trying to be careful with your money or simply like to be in control, having an idea of how much money you should save each month is always a good idea. The great thing about working on a yacht is that you don’t really have to worry too much about overheads, rent, food etc. As we all know this makes a huge difference to your disposable income. Most single crew average around 90% disposable income as a result. So why is it so many of you seem to have fallen down a hole every month? We mean a financial hole by the way. This is something that, based on what you earn vs your overheads just should not be happening, so why is it? The big questions is, what do you do with it, why are you running out of money each month, and what % of your monthly income do you think it is wise to save? Lots of you, and we really do mean lots don’t have any money left at the end of the month. We’ve all been there and it’s easy for us to criticise as we who now live on land are forced (due to lifestyle, tax etc) to budget our money, but the fact of the matter is that most of you don’t have to budget as it is something that you don’t have to worry about. If you spend all your money each month it’s no big deal is it? Remember, what we do is help crew. We are not here to make you feel bad about what you do with your money. We are also not here to tell you how to invest or where to save etc or to exploit crew for money and give them useless advice, BUT we would like to be able to give you some guidance on the amount of money you should be keeping either to one side, saving, investing or just not spending each month. If you need help with what to do with your money and how, then we can of course advise you on this too as it is part of our service, but that’s not what this article is about. You don’t pay tax because you are not generally required to. So, the money you are not paying in tax you should definitely be saving. This is a minimum of 20% depending on how much you earn. As a rough guide. If you earn over €50,000 per year you should be saving 30%+, €80,000 per year 40%+ and over €150,000 per year 50%+. Remember this is assuming you are not married, do not have kids and do not live in a house that you have a mortgage on. You should be able to save this without any problem. This means if you are a junior decky earning €2500 per month you should be saving €500. By the end of your first year you should have a savings plan in place. Whatever your goal, you should be on the way to achieving this. Simple ideas are savings accounts, ISA’s, or long term investments such as pensions. There are lots of options out there and a qualified and regulated financial advisor will be able to help you here. Don’t take advice from some guy walking the dock who you have never met. Do your research first and find out a bit about who you are dealing with. Forums are not generally a good place to get advice as information is easily corrupted. Get references from other people who have used the service. 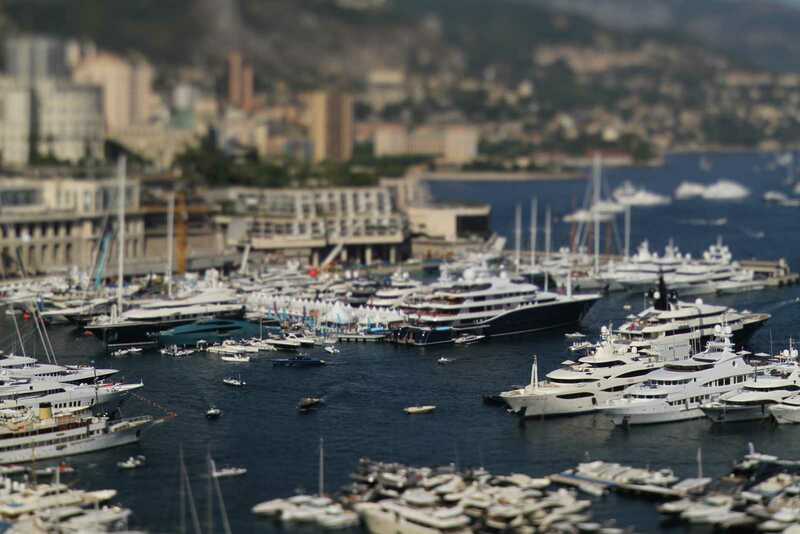 Yachting is a small world, there will always be a few people you know who have had an experience with a company, or have a friend who has. Remember this is your money. If in doubt do nothing. Don’t be pushed into anything by anyone. Remember, if you are going to throw your money away at least get a good hangover and some memories out of it! By the end of your 2nd year or mid way through your 3rd year buying a property could well be on the horizon for you. If this is your thing, and it is for most crew then you should have a 25% deposit ready to put towards your first rental property. Remember, you aren’t going to live here so you are buying somewhere simply as an investment. Buy wisely, with some expert help, rent it out and someone else is paying your mortgage. In theory, if you do this every two to three years after that you will have a decent independent income from rental property by the time you are ready to leave yachting. Something we also find a lot is that most of your friends back home are completely stunned by the lack of foresight crew have. They are quite literally unable to understand how you can earn what you do, have no overheads, pay no tax and still have no savings. Look at this from their point of view and you will start to see what they mean. Remember, I have been in your situation, spent every penny most months, made foolish investments without thinking about it and pretty much walked away from yachting and started again with nothing. So, when I criticise you I am criticising myself for being thoughtless too. If this is you and you need a hand, let’s talk. All of our 2000 + members are entitled to this advice and so please make the most of it and get in touch. If you are not a member yet and are a bit lost, or worse still have fallen down the hole then get in touch before joining to make sure we can help. Remember, it’s never too late to make a plan. All our advisors are regulated professionals in their field. Whether this is investments and savings, mortgages, legal or tax advice. We will NEVER tell you what to do with your money, only give you options which you can choose from. There is no pressure, no hard sell and no “if you put your money here you could be a millionaire” as this is illegal. CREWFO was set up because I have been there, done that and got the t shirt. Now we dedicate our time to helping our members avoid making the mistakes I made when I was in yachting.